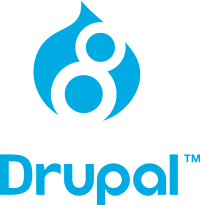 Need a DRUPAL 8 Website in Miami? In Miami, Florida and All Over the world for all types of companies the internet has become one of the best ways to sell products. Here at Unlimitedwebdesigns.com we will help you create a great DRUPAL 8 website. As we know image is what matters and with a professionally designed drupal web site you will increase your sales. Have any questions? We may be in Florida but we are just an e-mail away. Unlimitedwebdesigns.com is helping companies increase their online sales all over the world, specializing in: Florida, Miami, South Florida, Coconut Grove, Dade County, Coral Gables, Brickell. Your drupal website design is a fundamental key to increase your sales. Your website design is what represents you and your company. We are dedicated to every clients individual needs; offering our attention to every little detail. We have helped many Florida based companies, specializing in the Miami area; create a web design that gets them internet sales. Miami Web Design is the main target of Unlimited Web Designs. We have created over 300 websites for the corporations in Miami. We specialize in creating eye-catching web designs, useful web sites for both the owner and the user. We offer Search Engine Optimization in Miami and South Florida. (Miami SEO) packages, this is the perfect companion for your website. Feel Free to read or SEO Blog, with SEO tips, SEO 101 First Steps, and lots of Search Engine Optimization resources. Search Engine Optimization Miami Based: We provide high quality Miami web design and SEO services, Search engine marketing, and Programming services using RoR (Ruby On Rails), Php, Apache, Lamp (Linux, Apache, Mysql, Php) and Drupal 8 SEO. Check our SEO videos: Click here to see more SEO videos. We service all Miami, Florida South and North, specializing in Coconut Grove, Coral Gables, Miami Beach South and North Fl.